I got this old junk LCD from my car. The DVD function stopped and the LCD holder on the top of the car broke, so I took it. Is there any documentation or advice I could use to get this working with an Arduino mega or clone of similar power? I couldn't find anything after looking through Google. I.e. 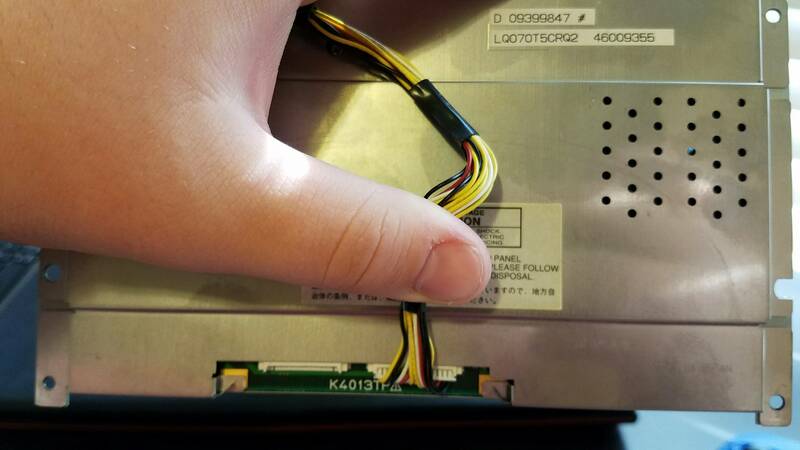 I'm looking for a way to get a pinout or idea of what those wires on the jack are so that I might be able to get text and/or basic graphics on the screen. Maybe to make an Arduino PC or something idk. Any advice on either figuring out the connections by hand and how to get a simple connection to the Arduino to get bsic stuff working or a place I can find pinout and such or where someone else has done something similar would be helpful. Update 2 A quick Google search reveals that it's made by sharp I believe. I'm looking into it. Update Here's is the back. It's got quite a few numbers on it. Maybe one of those can help? Your best bet is to try to take the casing off until you find a company name so that you can get a lead on where to look for documentation. Because until you find out more about how that screen works, it's a black box to you and you don't know what to put in it. 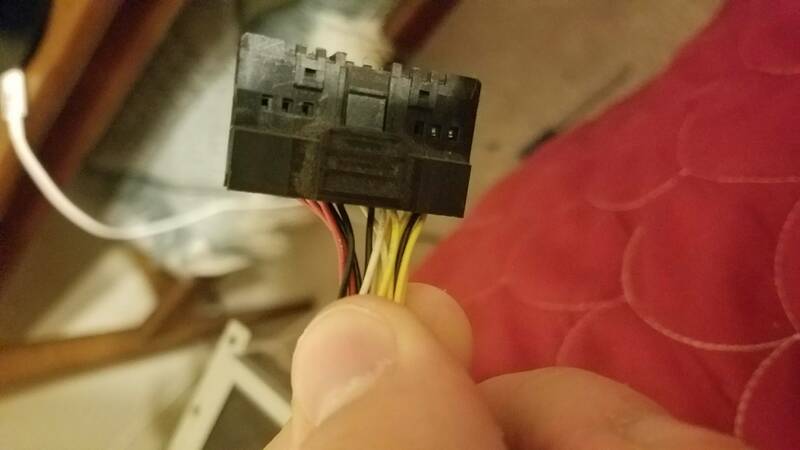 No one else will be able to help you until you provide more information to this extent because no one else can hold it in their hands, and the photo of the socket that you showed us doesn't look like a common display format either. Also, you're very unlikely to make a PC-type thing out of this. That depends on the power of the computer behind the display and an arduino isn't that powerful. You want a Pi. Or maybe I'm misunderstanding what you want. You could easily get a scrolling text type thing going or maybe even a game (if you figure out how to make it work). Edit: I just looked up a sample LCD screen and it has 6 signal pins and power and ground. Yours looks like it has a lot more. So you definitely have some digging to do. Not the answer you're looking for? Browse other questions tagged arduino-mega lcd communication teensy or ask your own question.